Jewelers, doctors, electricians, auto mechanics, florists, and even firemen depend on the quality of their wire cutters to deliver professional results. Although most specialized wire cutters have no application in the DIY market, there are nevertheless several types of wire cutters that should be in every handyman’s toolbox. Below is a selection of different types of best wire cutters that can make every DIY project a breeze. It is a mini wire cutter, best for cutting wire up to 16 gauges (1.3mm). Nonslip grip makes this cutter a perfect DIY tool for electronics and jewelry work. In application such as jewelry making, flower arrangement and electronic work, having a spike on the wire is not desirable. In these cases, the best option would be to use a flush-cutter with reduced bevels. It helps cut the edges cleanly, instead of forcing the wire to break at the site of the cut before the cut is complete. While the cut faces of the wire may not be perfectly flush, the reduced bevels on the cutting edges mean that less force is required to cut through the wire, which is a definite bonus for people who have to make hundreds of cuts a day. Using a low-quality tool can lead to fatigue and a serious medical condition called Carpal Tunnel Syndrome, which often requires surgery to repair. Shear cutters require the least force of all side-cutters to cut, and they make the smoothest cut possible. However, one must take great care when making cuts, as pressing too hard can dull the blades when the cut is completed. Xuron micro cutter is recommended for thin wire (Softer metals) & Jewelry making. High-quality tools of this type are fitted with adjustment or setting screws that prevent the cutting edges from touching each other after a cut. And this feature should be the first item to look for when you are shopping for shear cutters. In the electrical trade, these cutters are used for cutting soft copper or aluminum electrical conductors. But side-cutters are in used everywhere in the world and in every trade or profession that requires soft, pliable wire to be cut. However, side-cutters leave a sharp spike on the wire after cutting, which is the result of the jaws forcing the wire to break, rather than cutting through cleanly. In cases where the resulting spike is not an issue, normal side-cutters are the best option since they are relatively cheap, and a good quality tool can last for many years. Side-cutters should never be used to cut steel wire, nails, screws, fencing wire, or anything harder than copper or aluminum wire. Doing so can damage their jaws to the point of uselessness for any sort of cutting. Side-cutters are also available for precision cutting that leaves the edges of the cuts smooth. The end cutting pliers have jaws that are shaped like half-circles, with the cutting edges at right angles to the body of the tool. This makes it possible to cut nails, screws, and rivets close to the surface of the work piece without marring the surface. The rounded shape of the jaws also makes it possible to extract nails and screws from wood by using the radius of the jaws as a fulcrum. When shopping for end cutting pliers, the first thing to look for should be the alignment of the jaws, which should close on one another with no light visible between them, meaning that there should be full contact between the cutting edges over the full width of the jaws. There should also be no free play in the pivot point between the two handles. Almost all types of wire cutters are available in insulated versions to prevent electrical shocks. However, care must be taken not to confuse the plastic or rubber coating on the handles of the normal tools with proper electrical insulation. 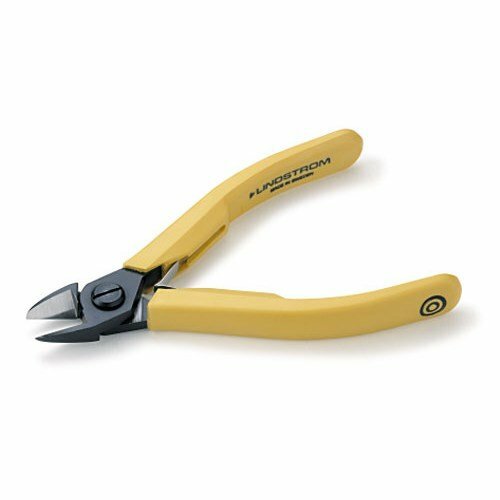 Most wire cutters are supplied with soft-grip handles to make them more comfortable to use, but these coatings offer no protection against accidental electrocution. 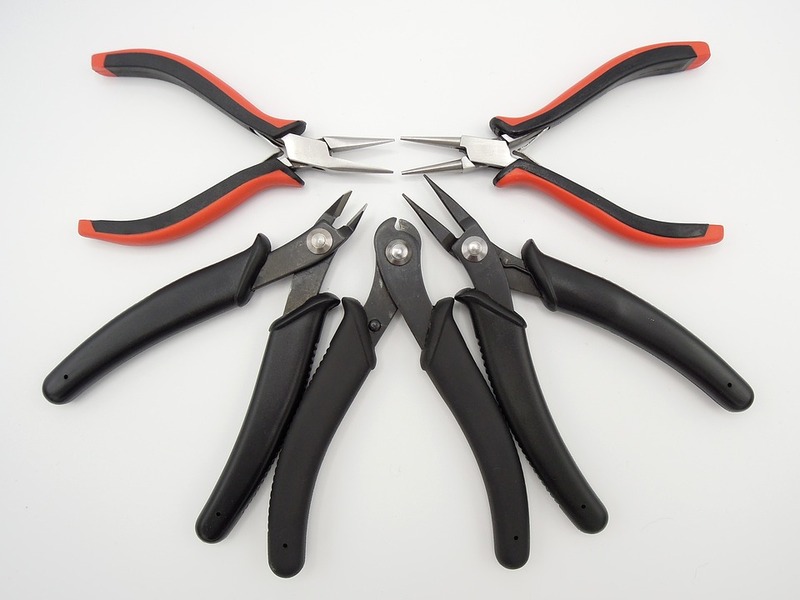 If you need properly insulated wire cutters, only buy a pair from a reputable dealer in tools and avoid the cheap, substandard tools that are sold by auto parts stores, and other non-specialist dealers. These tools may look safe to use, but discovering that the thick plastic coating on your new wire cutter is not rated for use with high-voltage electricity after suffering from an electric shock is not what you want, right? Also known as combination cutter, this is the workhorse of the wire cutting family of tools. Apart from having wide, flat jaws for gripping objects, these tools also incorporate cutting edges similar to those on side-cutters just forward of the pivot point. They can cut steel fencing wire, thick nails, or even steel screws with no trouble at all, thanks to the levering action of the long handles. Also, these pliers also often incorporate a guillotine-like cutting action. They contain a groove in each handle very close to the pivot point. Opening the handle aligns the two grooves, and by closing the handles, the cutting edges on the inner side of the grooves perform a shearing action that can cut through almost any nail, screw, or even small-diameter steel rod. Needle-nose wire cutters are often used by electricians because the sharply tapered jaws make it easy to bend and insert wire into a switch-gear in electrical panels, where there is often not enough space to use any other type of pliers or cutters. These cutters have almost no bevels on the cutting edges, and thus make perfectly flush cuts, which is particularly important in jewelry making and electronics. However, while a cutter of this type requires even less force to make a cut than an normal flush cutter, its blades are very fragile, and great care must be taken to protect the blades by only using it for cutting the material it is designed to cut, such as soft copper or aluminum conductors. One of the best wire cutters for jeweler making and wire wrapping is this one. You can flush cut fine silver, bronze, gold and platinum wire. This cutter is not designed for titanium, steel or memory wire cutting. Do not cut material the tool is not designed to cut. This is a sure-fire way to destroy the cutting edges. Only cut hard material with cutters that are specifically designed for the purpose. Do not expose any wire cutter to high heat. It will destroy the temper of the blades, and render the tool useless. Do not allow any wire cutter to come into contact with water. If it does, dry it off immediately to prevent rust damaging it. Do not use a wire cutter as a hammer. Use a hammer instead. Never extend the length of wire cutters to increase leverage. Instead, use a larger pair that is designed to cut material that lighter, or smaller tools cannot cut. Do not bend hard steel wire with cutters that are not designed for the purpose. Doing so will force the jaws out of alignment by bending them, or damaging the pivot point.